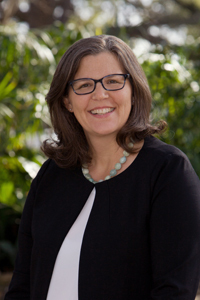 Becky Pettit is the Barbara Pierce Bush Regents Professor of Liberal Arts at the University of Texas at Austin. She is a sociologist, trained in demographic methods, with interests in social inequality broadly defined. She is the author of two books and numerous articles which have appeared in the American Sociological Review, the American Journal of Sociology, Demography, Social Problems, Social Forces and other journals. Her book, Invisible Men: Mass Incarceration and the Myth of Black Progress (Russell Sage Foundation 2012), investigates how decades of growth in America's prisons and jails obscures basic accounts of racial inequality. Her first book, co-authored with Jennifer Hook of the University of Southern California, Gendered Tradeoffs: Family, Social Policy, and Economic Inequality in Twenty-One Countries (Russell Sage Foundation 2009) was selected as a Noteworthy Book in Industrial Relations and Labor Economics in 2010. Pettit has been the recipient of many honors and awards. Her paper “Black-White Wage Inequality, Employment Rates, and Incarceration” (with Bruce Western of Columbia University) received the James Short paper award from the American Sociological Association Crime, Law, and Deviance Section. Another paper “Mass Imprisonment and the Life Course: Race and Class Inequality in U.S. Incarceration” (with Western) received Honorable Mention from the American Sociological Association Sociology of Law Section Article Prize Committee. A related paper (also with Hook) was a finalist for the 2006 Rosabeth Moss Kanter Award for Excellence in Work-Family Research. She was elected to membership in the Sociological Research Association in 2018. Pettit has been a visiting scholar at the Russell Sage Foundation, Northwestern University, and the American Bar Foundation, and was a recipient of a mentored research development award (K01) from the National Institutes of Health (NICHD) for her work on “Institutionalizing Inequality: Gender, Work and Family.” Pettit’s research has been featured in the New York Times, the Wall Street Journal, the Washington Post, MSNBC, and numerous other media outlets. She has been invited to speak at the White House, the Congressional Budget Office, the Department of Health and Human Services, the U.S. Census Bureau, and many colleges and universities. Professor Pettit teaches courses on social inequality, methods, and statistics. She edited Social Problems, the official journal of the Society of the Study of Social Problems, from 2011-2014. She holds a Ph.D. in sociology from Princeton University and a B.A. in sociology from University of California at Berkeley. (4) think critically about research. We will cover research design and the structure of inquiry, the role of theory in empirical research, argument construction, causal inference, ethics, political and policy implications of research, approaches to inquiry (quantitative, qualitative and ethnographic, experimental, historical comparative), and reporting and reviewing research. In Sociology 317M, we will investigate questions central to the study of social life. Using a hands-on approach, we will explore how to examine and communicate core sociological concepts, methods, and explanations. Like historians, we will examine archival materials. Like ethnographers, we will observe – and record – contemporary social life. Like survey methodologists, we will design and implement a survey. As in other sociology classes, you will be asked to analyze and interpret the evidence you collect. This class requires you to make a commitment to using – and thinking about – the methods of social science research. This course is designed to promote an experiential and interactive learning environment. The course will involve a combination of lectures, lab/discussion sections, guided field study (i.e., field trips), and opportunities to apply and communicate learned concepts (i.e., assignments/field projects). A significant amount of classroom time is reserved to introduce students to the methods of inquiry used by social scientists. Students are required to practice sociological methods as part of the course. No prior experience is necessary. Babbie, Earl. The Practice of Social Research. Belmont, CA: Wadsworth Publishing. Additional readings will be available as links through the course webpage. Mass incarceration of Black men discussed in A. Moore, "8 Ways the Incarceration of Black Men Distorted the Numbers Showing African-American Progress," Atlanta Black Star, October 10, 2014. Pettit discusses the growth of black male incarceration over the last fifty years on PBS' The March @ 50: Episode 4, September 16, 2013. Becky Pettit's research on prison as a means of keeping families in poverty (with Bruce Western) discussed in John Tierney, "Prison and the Poverty Trap," New York Times, February 18, 2013. "The Plight of Young, Black Men is Worse than You Think," Interview with Peter Coy, Businessweek, September 28, 2012. Becky Pettit quoted on how the mass incarceration of black men has skewed demographic study findings (as reported in her new book, "Invisible Men"), "Why Surveys Should Pay Attention to Prisoners" The Wall Street Journal, September 7, 2012. BET.com: Is It Worse for Black Men Than We Think? Pettit appears on MSNBC: The Age of Mass Incarceration to discuss insights from Invisible Men. Sam Roberts reviews Invisible Men in New York Times, October 27, 2012. Pettit discusses Mass Incarceration on Podcast: AAAS Science Update with Bob Hirschon, March 20, 2012. Pettit discusses race and incarceration on The Conversation with Ross Reynolds, KUOW Puget Sound Public Radio, January 17, 2011. Becky Pettit's research on her book, Gendered Tradeoffs discussed in Steven Levingston, "Laws Fail to Remedy Workplace Inequality among Women," Washington Post, April 26, 2010. Between 2012-2014, Pettit co-directed the Scholars Strategy Network Northwest. The Scholars Strategy Network seeks to improve public policy and strengthen democracy by organizing scholars working in America's colleges and universities, and connecting scholars and their research to policymakers, citizens associations, and the media. Coincident with Pettit's move to UT-Austin, scholars in Texas began SSN-Texas. The inagural SSN-Texas event will be held in February 2015 at the State Capitol in Austin.